It was that time of year again. Nearly March. 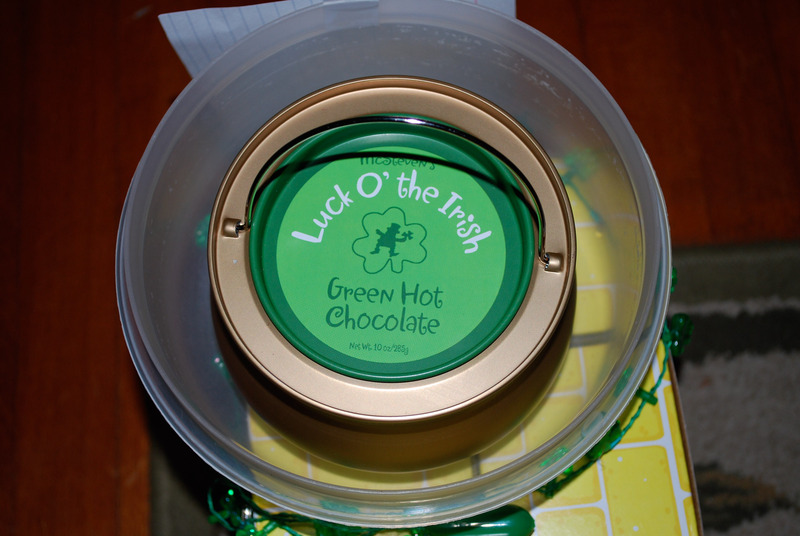 Leprechaun season.One the last day of February, Isabella decided to make a leprechaun trap. Luca thought he should put clover in his trap. Luckily, he knew where to find some. Ta-dah! He put green and gold in, and a bit of blue, just in case. The next morning, no leprechaun, but the goodies were gone from the traps and harmonicas were in their place! Hmmm, the leprechaun left the blue ball. Trap design #2. Stairs into a jar. 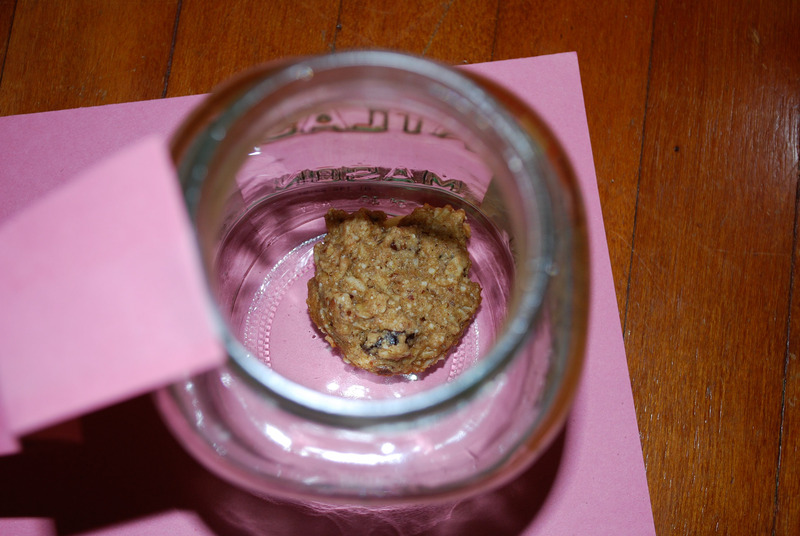 Chocolate chip oatmeal cookie as bait. 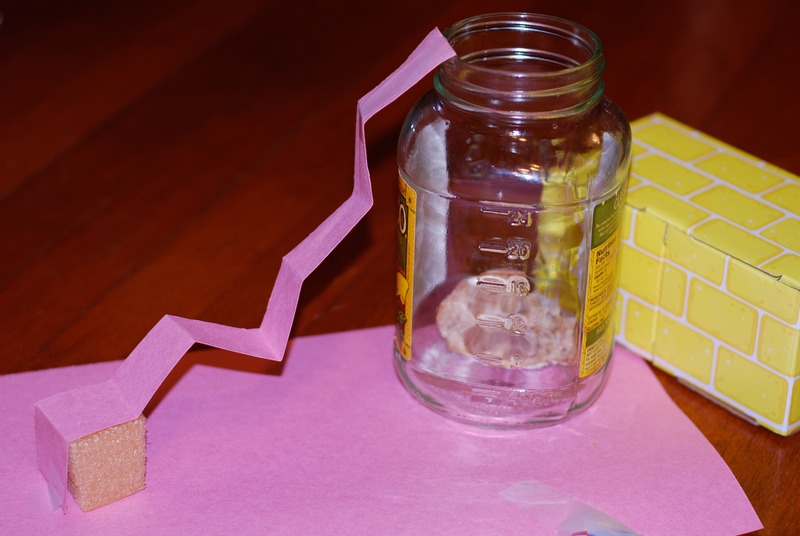 Trap design #2 = tall wall….. The next morning, no leprechaun, no cookie, but tablets that color the bath water! The next night we made Irish Soda Bread. And put that in the traps. The next morning… you guessed it. No leprechaun, no bread, but a treat. This time he left green rocks for each child. And some green potty water. Looks like the mischief has begun! She put red nail polish in. The next morning, a note in its place…. 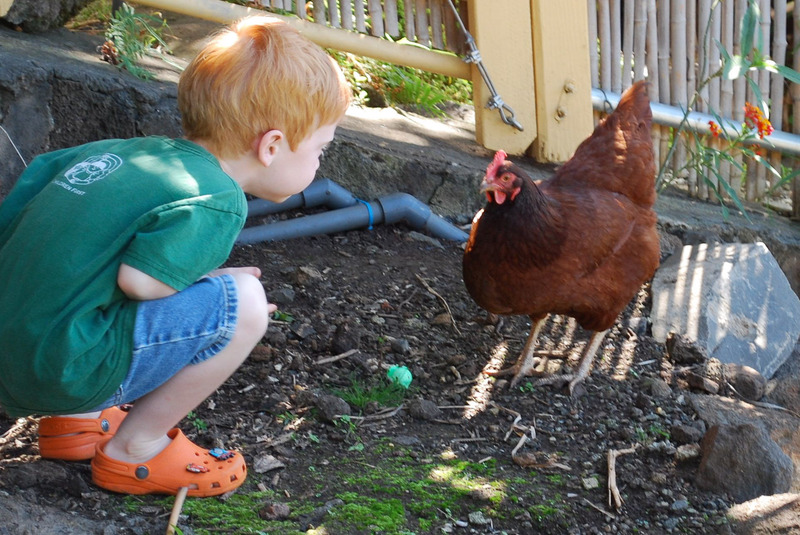 The kids ran to check the baby chickens. …. and found red chicken toes! 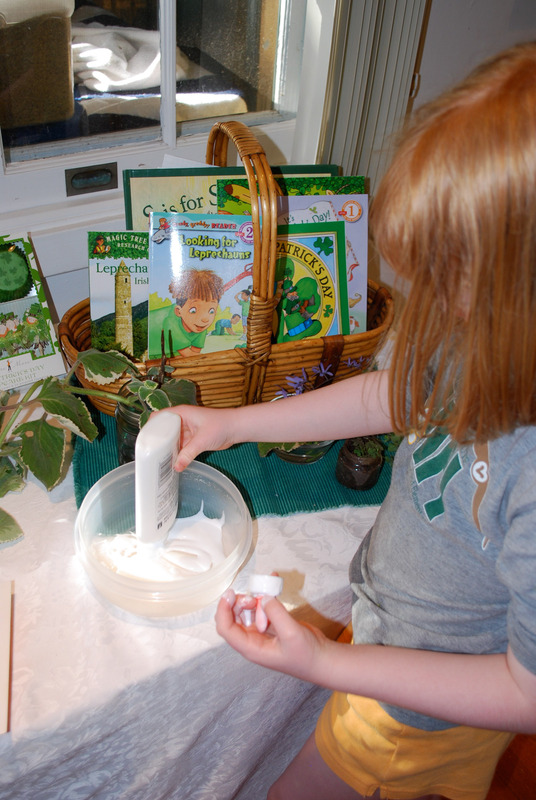 One night Isabella decided to use glue in her trap to catch the wily leprechaun. 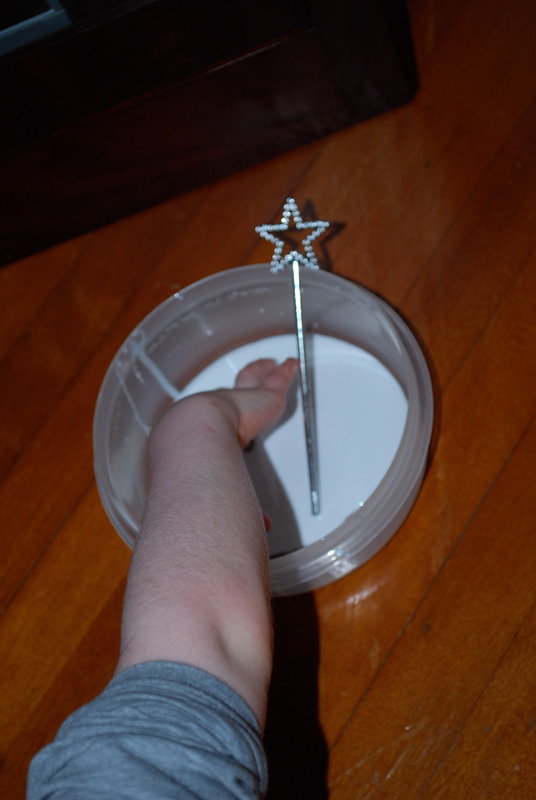 She put a magic wand in as bait. 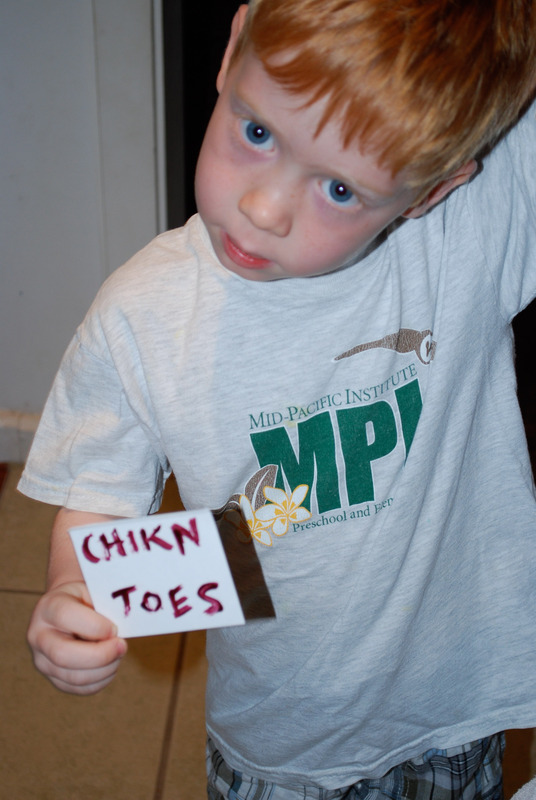 The next morning we found small shoes stuck in the glue and a St. Patty’s Day bracelet. Tiny boots! And, of course, there was some chair mischief. 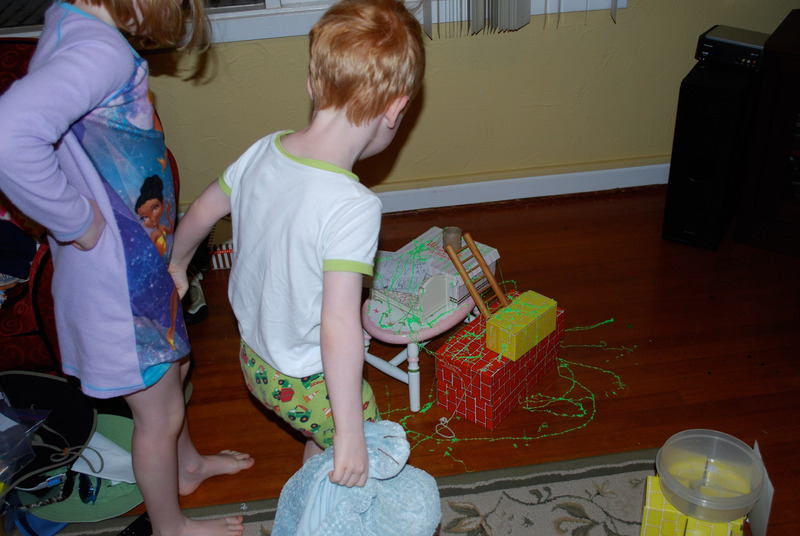 The following night, Luca put a trick kleenex over the hole in his box, some leprechaun glitter on top and a Nilla Wafer inside. 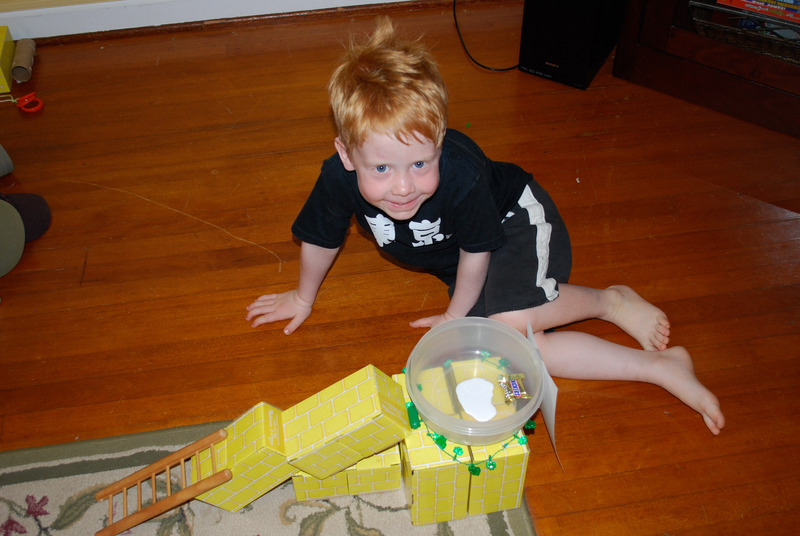 Isabella used a glue trap and cookie, but added a pearl necklace to lead the leprechaun to the bait and a “shelter” so he’d want to sleep there. 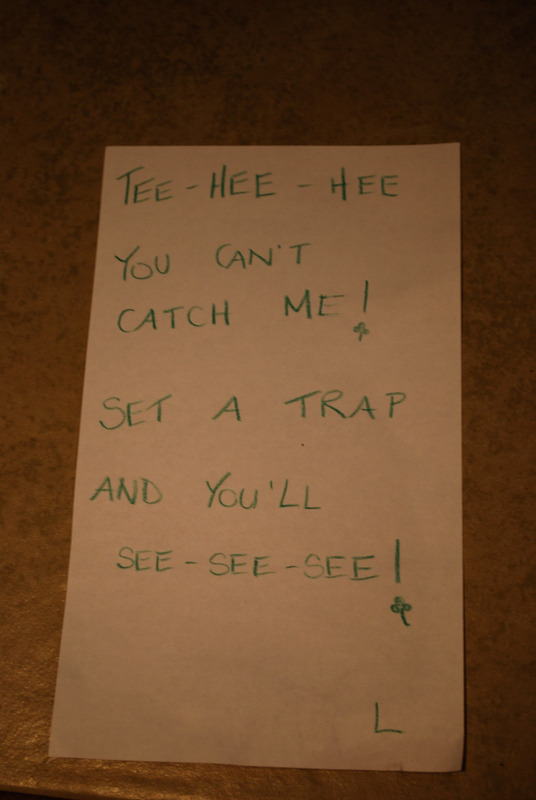 The next morning they found the trap materials in a new formation…. Luca wanted to try a glue trap. He used another Nilla Wafer as bait. The leprechaun lost a boot and left a footprint and some animal crackers. And a mysterious key…. 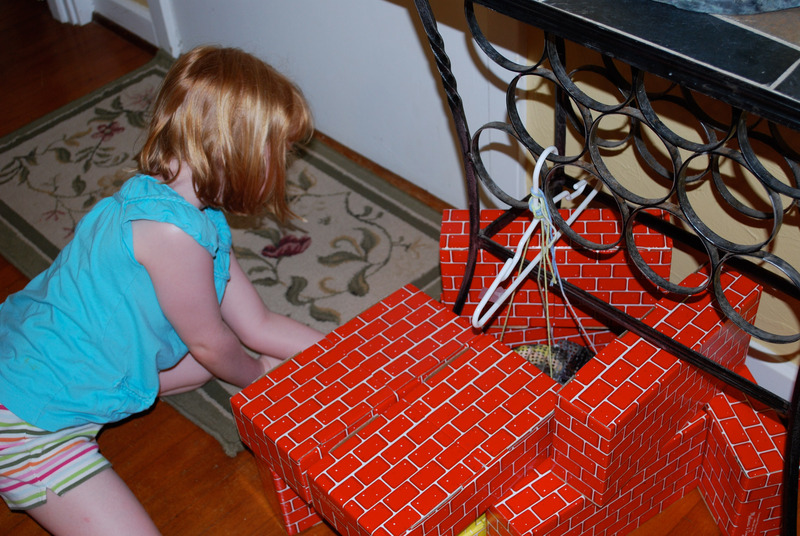 The next morning, since the kids had not sets traps, they awoke to mischief. All of the area rugs has been rearranged…..
and a note was left…. AND the milk was green! That night they set more traps. Isabella drew a rainbow as bait. He taped his note on and added a Snickers bar wrapped in gold. Because Leprechauns like gold. Isabella thought to make the walls higher. Her bait was a rainbow and a golden Snickers. 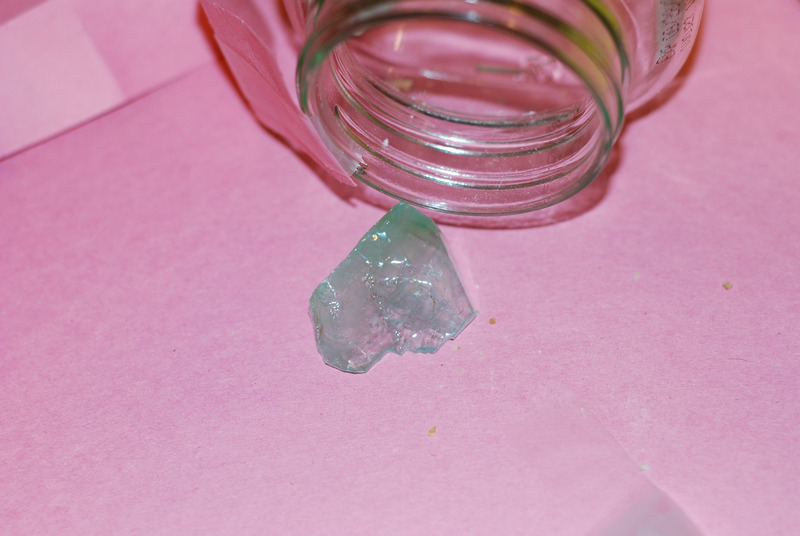 The next morning… Luca’s trap held a pot of gold, stuck in the glue! 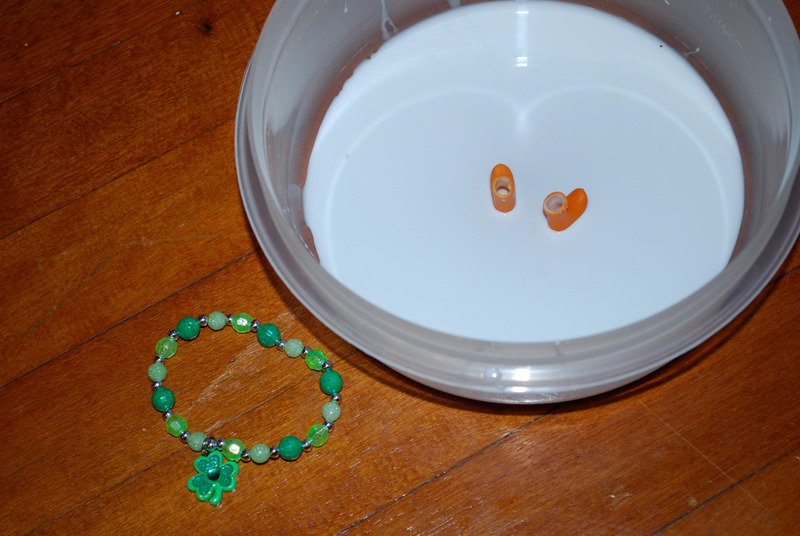 The leprechauns fixed Isabella’s broken shamrock bracelet and left a matching necklace. One morning we looked and looked for mischief. Nothing. Until we found this outside. GREEN eggs! And pictures of Shamrock Shakes. She also poured glitter down the tube. The next morning the trap was covered in green stuff. “Leprechaun gum,” they thought. Inside…. 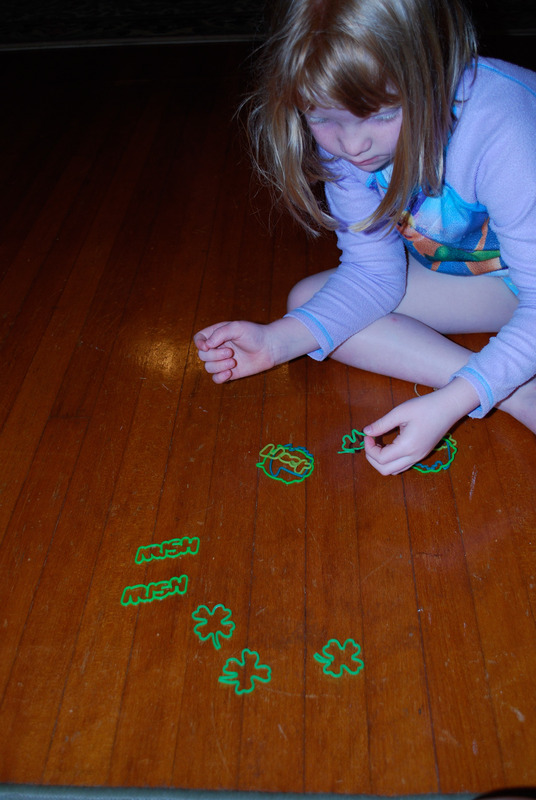 no leprechaun, no necklace, but glow in the dark St. Patrick’s Day Silly Bands! Love the hands on hips? Because she knew they had to clean it up. It was our last night (since we would be on a plane to Florida on the actual St. Patrick’s Eve). Isabella went all out with pleas for goodies. But she left the leprechaun boots as a goodwill gesture. And as bait. The next morning, the boots were gone. And there were footprints leaving Luca’s trap. Leading to…..
Yeah! 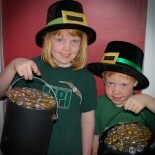 The leprechauns returned all the goodies they stole! AND LEFT A GOLD NUGGET!!! And some Lucky Charms. ‘Natch. 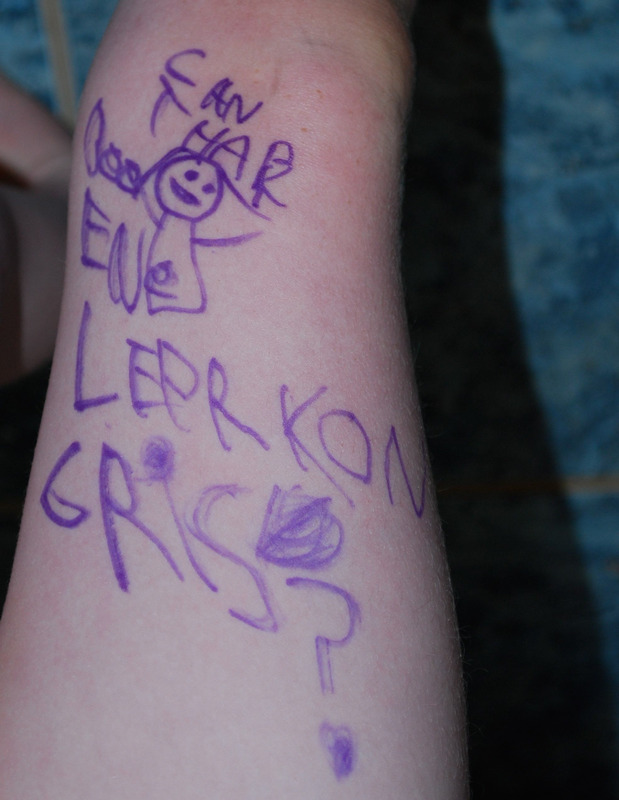 The next day on the airplane the kids opened the notes and found leprechaun clothes (AKA Disney World spending money). Happy St. Patrick’s’ Day everyone!